Being a mom is one of the greatest accomplishments of my life. My husband and I have a 9-year and 1-year old, and call us crazy, but we’re thinking about having one more. While my family means the world to me, that is not the end all be all to me. I am a woman, a queen, a wife, a friend, a sister, a professional, a businesswoman, a dreamer…the list goes on and on, and I refuse to lose that about myself. But, let’s be honest. Sometimes, it just doesn’t seem like you can be all those things; sometimes, it feels like the world always wants you to pick between your family and your career, but what about work-life balance? Can that really be achieved, or is it just a myth? After trying out self-publishing and indie-publishing, I decided to start my first business Black Eden Publications back in 2015, and I am launching my next company Black Eden Academy next year, and every step of the way, my capability of being a mom, wife and a business owner is always questioned. Have you heard any of this mess before? Whoever told you that you have to choose, that you can’t have it all has been too afraid to even try. Combining motherhood and entrepreneurship is by no means easy, but challenges aren’t always bad things. 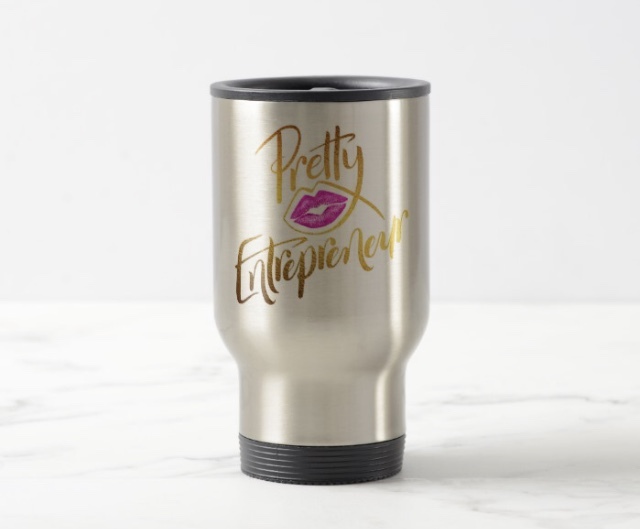 Being a mompreneur gives you energy! What mom doesn’t want more energy? I’ve discovered that pursuing your dreams apart from motherhood gives you energy and more insight into your role as mom. My dual roles—business owner and mother are complementary, not separate. I’m able to pursue the lifestyle I know my family needs. Every family is different, and each family has different needs, dreams, and desires. Entrepreneurship allows my family to create the lifestyle that allows us to thrive. That doesn’t mean we don’t make sacrifices, and it doesn’t mean that we obtain everything we want right away; it just means that once we know what we’re after, it becomes inevitable. My children see that hard work is a part life. If anyone thinks that working for yourself is easy, I hate to tell you…but you are sadly mistaken. In order to be successful, it is an everyday job to run your business, and run it well. Showing your children that hard work actually does payoff is such a wonderful lesson to give them. As a publisher, my sons get to see the ends and outs of the industry, my successes but more importantly my failures. If my boys remember anything I say, I want it to be that “nothing worth having is easy.” Knowing that hard work is the driving force to get them to everything they want exposes my children to more of life, of what it means to pursue their individual callings and passions. One thing I hope to be is an example to my children. I want them to know that whatever I do within my lifetime, they can do better within theirs. When I was growing up, I had no one around who gave me guidance, no one around who believed in my dreams. I’ve always had to pave my own way. That won’t be a burden that my children will have to bear. I will be there to provide guidance and the resources necessary for them to follow their dreams. My children are my biggest motivations. They are the reasons I wake up every day. I am inspired to walk in my purpose to show them how they can too. I’m grateful to be on this journey with my family right by my side. I’m thankful for what entrepreneurship has allowed me to be as a mother, and for the way it is shaping me into the person I am becoming. There is so much more to come…stay tuned! What’s the greatest benefit you’ve received from combining being a mom and an entrepreneur? The Do It All Pretty AKA Sasha Ravae is the author of the Counterfeit Dreams series, the Ski Mask Divas series, Dying for Change, Trap Goddess, What Bae Don’t Know, The Dope Grammar Guide and co-collaborator of Boy Toy and City Nights. She is also the founder and CEO of the Black Eden Publications . Sasha Ravae began her professional writing and editing career back in 2012 after receiving her Professional Editing Certificate from UC Berkeley. She also currently runs her own blog: xoxo Sasha Ravae – Blog Talk where she gives tips and tricks to upcoming authors as well as keep readers updated on everything Black Eden Publications. You can read her books and follow her blog on Blackedenpublications.com .